Spread 3 Tbsp beans over each tortilla leaving 1/2″ on edge; sprinkle each with 2 Tbsp cheese, 1 tsp cilantro and chopped tomatoes. Fold sides toward center. Fold remaining side up, and turn over onto one of two 10″ plates. Cover tightly. Microwave one plate on high 2-3 minutes or until hot. 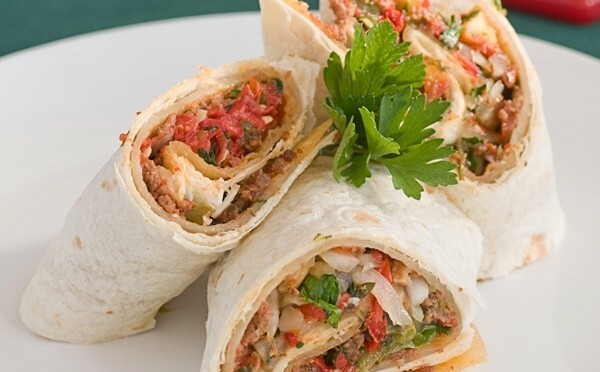 Cut each burrito into 3 pieces with sharp knife. Serve with guacamole and sour cream. Previous PostParsley Cilantro MarinadeNext PostMake room for ‘BIG’ color in your garden this year!